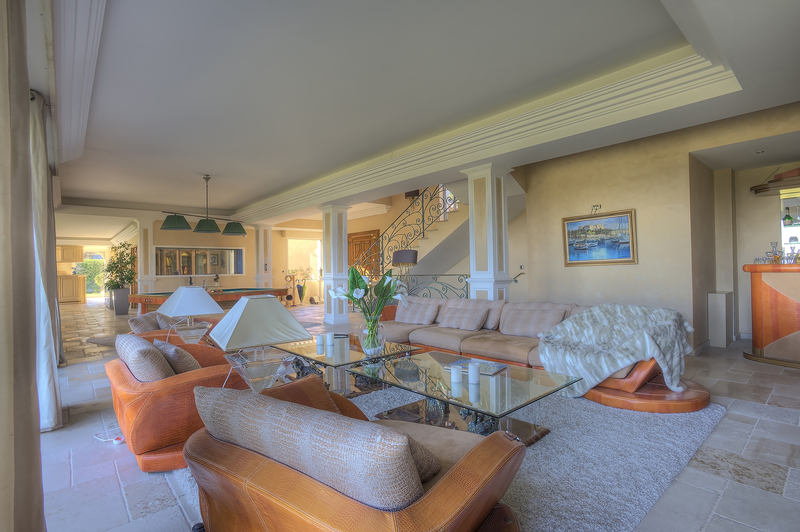 This stunning villa is situated close to the Royal Mougins golf course and provides an exceptional level of luxury and space. 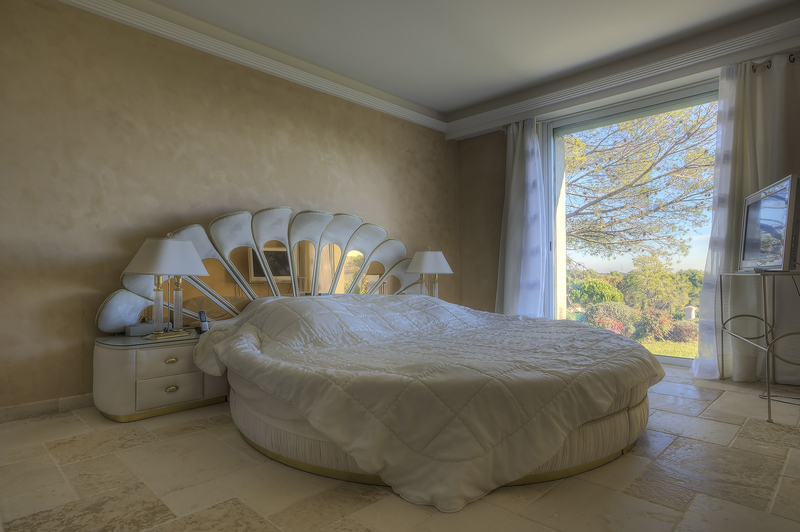 The property is accessible to guests with mobility impairments and comprises of 6 beautifully designed bedrooms, each with an en-suite bathroom and tasteful decor. The living and dining spaces are spacious open out onto a large terraced area, complete with outdoor dining furniture and spectacular views. 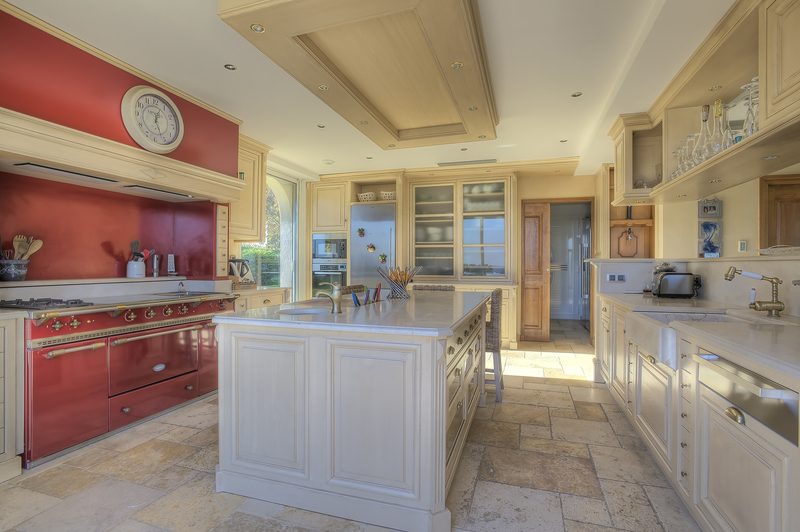 The fully equipped professional level kitchen includes a breakfast bar for guests to use. An office space provides a fantastic area for guests on working trips and includes a large desk, computer and printer, a flat screen TV and an aquarium filled with exotic fish. 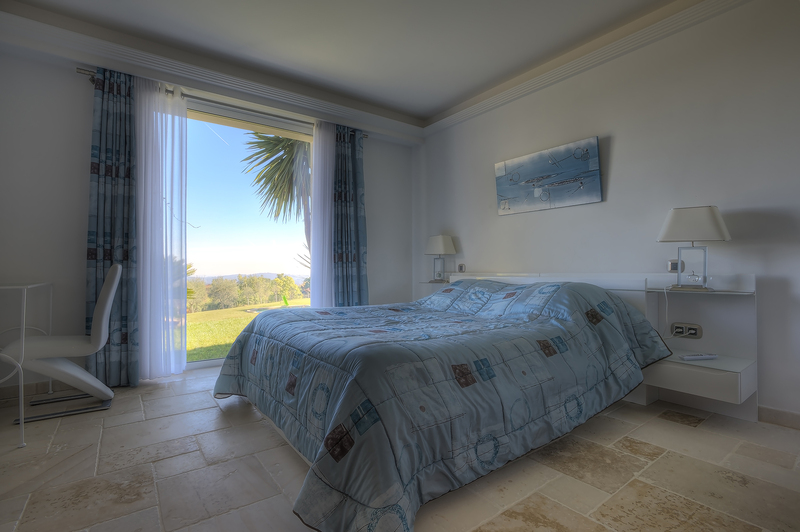 Guests have a range of sensational leisure and entertainment facilities within the villa that will keep all amused and active during their stay. 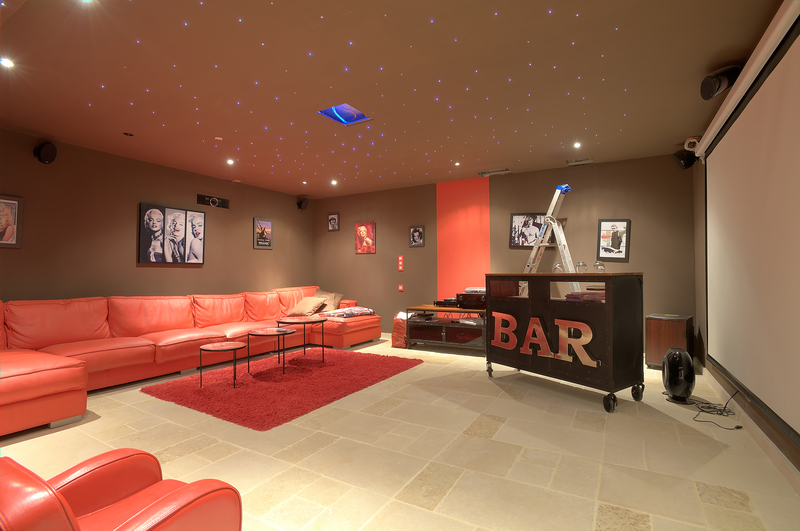 A state-of-the-art cinema room is equipped with surround sound and plush sofas to enjoy the latest blockbusters. A luxurious spa includes a sauna, hammam and a massage room for fabulous pampering sessions or the well-equipped gym room can be used for any guests wishing to stay on top of their fitness during their holidays. An incredible nightclub is situated within the property and contains a full bar, surround sound, a disco ball and a stage complete with microphones and lights for performances. The outdoor space of the property includes beautifully maintained lawns and gardens, surrounding a wonderful swimming pool with an island and a ramp for mobility impaired guests. 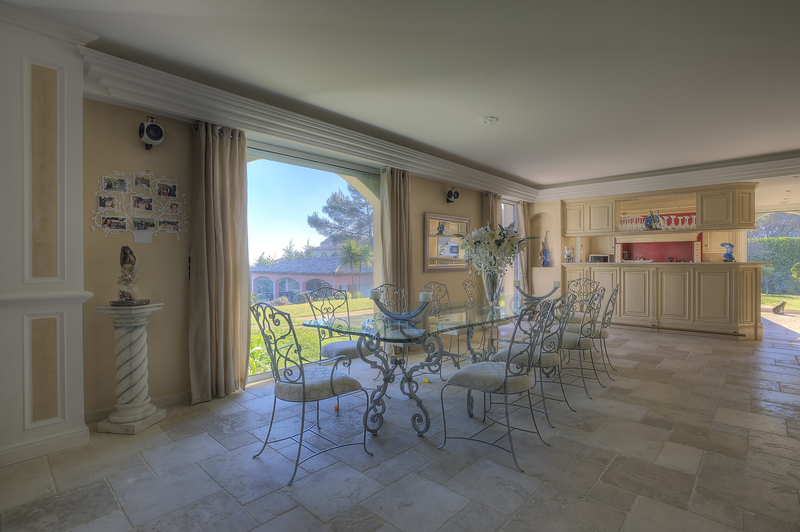 The pool house features a summer kitchen, bathroom and a barbecue. Sun loungers and outdoor furniture provide plenty of space to relax and appreciate the Mediterranean sunshine. Children also have an excellent playground with a jungle gym and a swing set.